For my card, I stamped the background with one of the houses in the Houses stamp set. I cut a black tag using the Luggage Tags Nesting Dies layering on images from the Houses and Houses Extra that I colored and fussy cut. 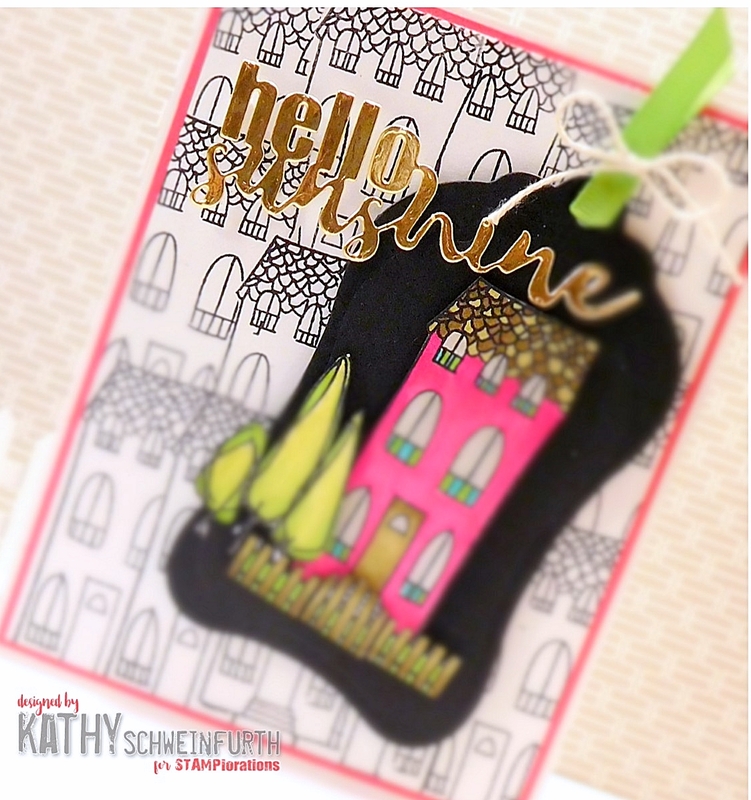 To finish, I used the Hello Sunshine Phrase Die cut from gold cardstock. Well hello sunshine! Great to have you and your fabulous creations on board, Kathy. Love how you worked that luggage tag into your design too. Fabulous card Kathy. Looks like those houses were popular with the Team! Love the background and colourful scene. Looks so good on that black tag. So happy to see you are part of the CUTplorations Team with me. PS Just letting you know in case you missed it - I chose your card for the JUGS Chic of the Week for our Photo Week Challenge. Absolutely awesome, Kathy! Love your pink house that pops from the neighbourhood; it's all the more charming paired with the black background and sentiment you've selected! Love this! 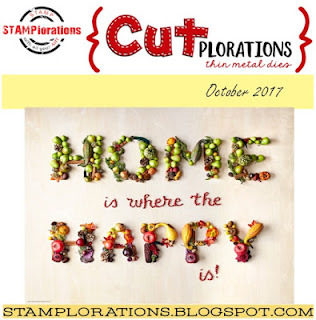 Thrilled to be on the CUTplorations team with you; you're an incredible source of creativity and inspiration! Very cool card, very unique !